Different flowers live for different number of days. Even different varieties of roses last for varying periods of time. 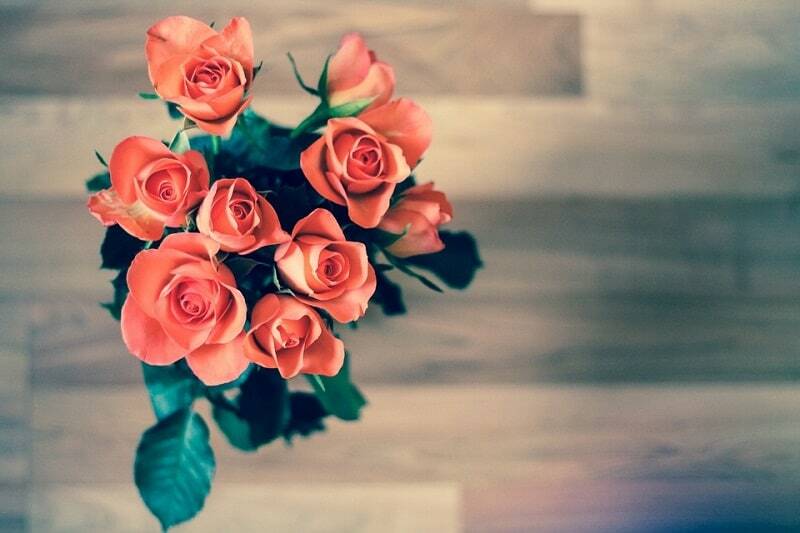 A rose should ideally last for 10 days in fresh water. But some varieties can even look good for as long as 15 to 20 days. Studies have shown that Poison Pink, Reward Red and Valentino Red roses remain fresh for almost 18 days provided you keep them in the right ‘flower food’ solution. Varieties such as Eliza fuchsia roses, Orlando pink and red jewel roses last for 12-15 days. Full Refrigeration (1-4 deg C)-Roses, Carnation, Chrysanthemums, all types of Lily, Tulip, and most type of foliage. No Refrigeration (above 12 deg C)- Tropical flowers need low to no refrigeration. Flowers in this variety are all Orchids, Heliconia, Ginger, Poinsettia and Gloriosa Lily. They should never be refrigerated. Immediately place cut flowers in a vase filled with fresh cold water. Display the roses or flowers away from sunlight and direct sources of light and heat such as lamps, heaters and bulbs. Iced water is best as it keeps flowers fresh longer. 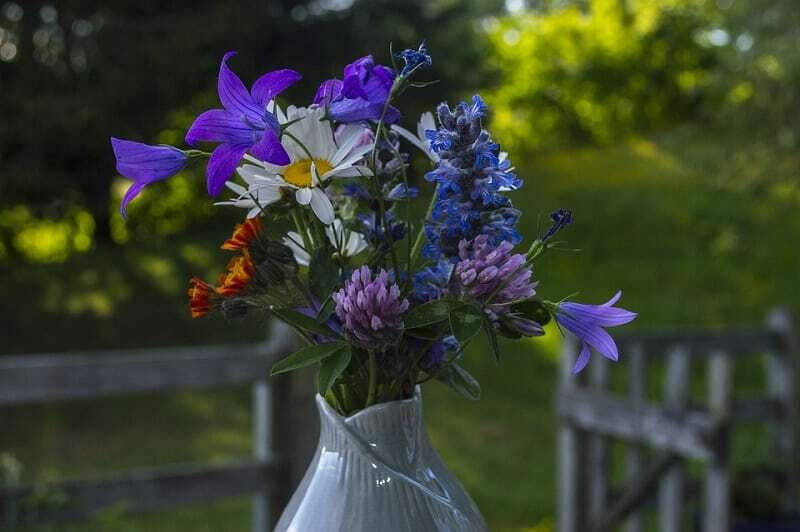 Some cut flowers quickly wilt because they foul up the vase water quickly. Flowers grown in fields like Aster, Dahlia, Daisy and Ageratum have dirtier stems. Gerberas are especially sensitive to dirty water. So strip away their leaves and clean the stems of the flowers before storing them. Also treat the vase water with a germicide-we will tell you which ones to use. Also, cut the stems always at a slant-this simple tip will keep roses alive without flower food. Humidity is the amount of water in air. Flowers lose water rapidly when the air is dry. Ideal humidity to keep fresh cut flowers alive longer is 90-95% but even with misting; it is not possible to maintain this level indoors. Also, very high levels of humidity can make flowers susceptible to fungal diseases. Air conditioners can help keep flowers fresh longer owing to nearly 65% humidity without the risk of fungal diseases. Flowers like hydrangeas, boronia, and violets have a tendency to absorb water through their petals and leaves and can withstand misting and higher humidity levels. Flowers like roses, gerberas and chrysanthemums are susceptible to fungal attacks when misted. Water is essential for all cut flowers to keep them fresh and alive longer. Cut flowers absorb water through their cut stem. Some flowers like Stirlingia and gum foliage are sold dry and dyed but majority of cut flowers need fresh water. Always make sure to keep iced, clean, fresh water in the vase. 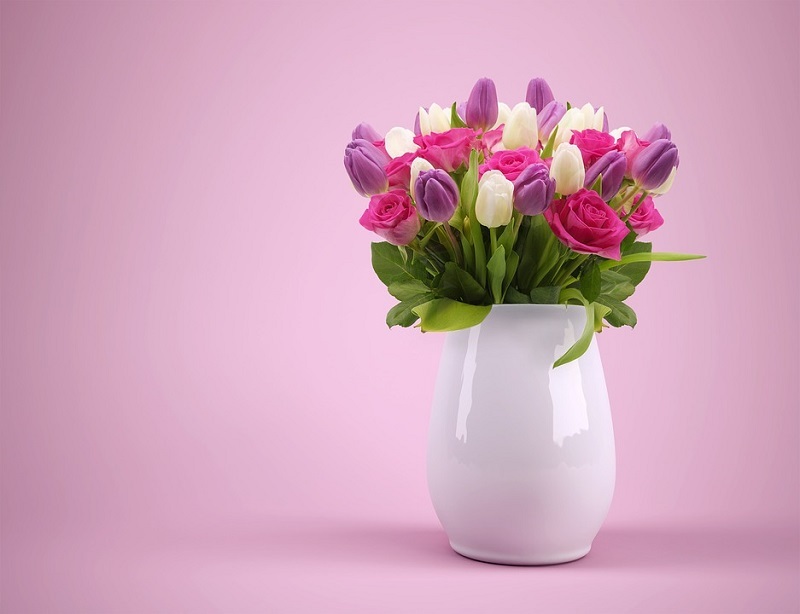 If there are impurities in the water or if the vase is dirty, the xylem of the flowers’ stems will get clogged with dirt causing them to wilt quickly. If you work with cut flowers for a hobby; always keep all equipment and your work desk clean. Wash all buckets, vases, containers and preparation area with mild bleach and water. Also wash benches, shears, scissors and secateurs with germicidal solution after use. Failure to do so will cause bacteria and fungi to multiply. No matter how clean you keep the vase and buckets for storing freshly cut flowers, there are still microscopic fungi and bacteria that can cause your cut flowers to wilt. So it is important to add a germicide like chlorine to the water. Low chlorine concentration between 10-30 parts per million will keep water clean and not cause harm to the flowers. You can add 1 tsp bleach per liter of water. Alternatively use swimming pool chlorine which is available in two forms: sodium hypochlorite and longer lasting sodium dichloroisocyanurate. The latter is more stable and lasts for 5 days. Bromine germicides are also great alternative to chlorine. In order to keep fresh flowers from dying, you must change even chlorine treated water every day. Does aspirin keep flowers fresh longer? Dr. Ilya Raskin of Agriculture Products Division of DuPont Company USA and Dr. Jean Pierre Metraux of Ciba-Geigy Lab in Switzerland believe that aspirin can keep flowers fresh longer. So add crushed aspirin tablets to vase water. Make sure you replace the water every day and treat it with freshly crushed aspirin each time. 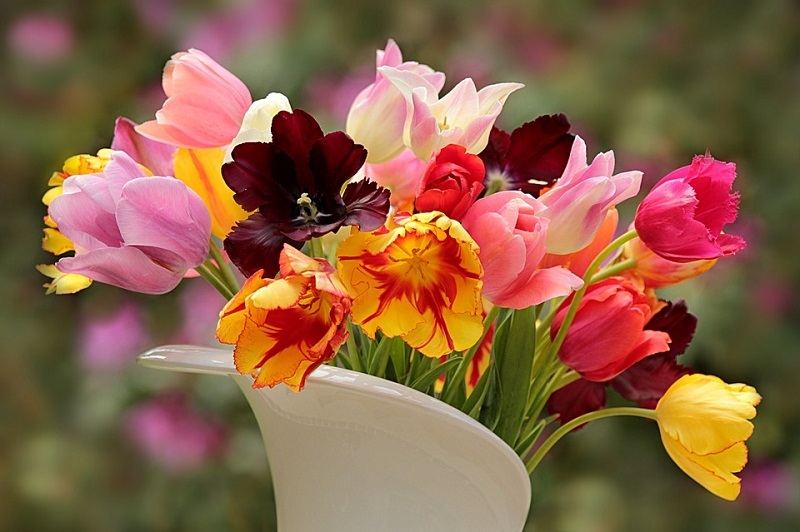 Baking soda can help keep flowers fresh longer. Add 1 tsp to a pint of vase water. Alternatively add 1 tsp hydrogen peroxide or 1 tsp lemon juice to a pint of vase water. Glycerin or vinegar can also keep roses fresh without flower food. All these ingredients prevent cloudiness or water and kill bacteria to prevent odor. This will keep your roses and cut flowers fresh longer. Chrysanthemums love copper. 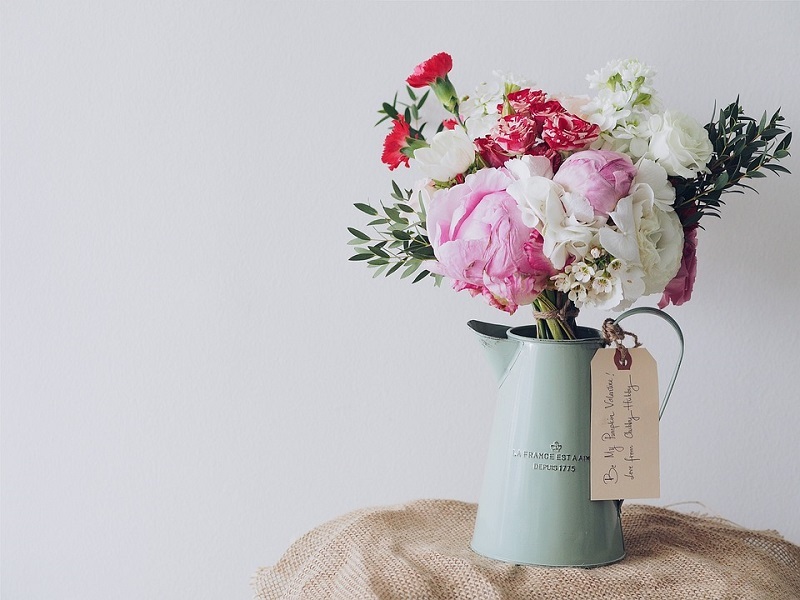 Add a few pennies to the bottom of the vase, jug or kettle to keep flowers stronger. You can also place these flowers in copper vases or jugs. Add some laundry borax to water in which you store your carnations.1 tsp to 1 quart of water should do the trick. Add a few charcoal tablets to the bottom of the vase. This will draw away mold and deodorize water, keeping it fresh longer. Use these 14 easy tips to keep cut fresh flowers alive longer.